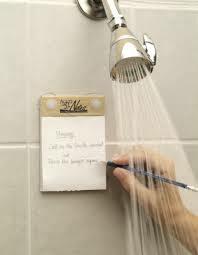 Every writer knows that some of the best ideas occur to us while we’re in the shower. 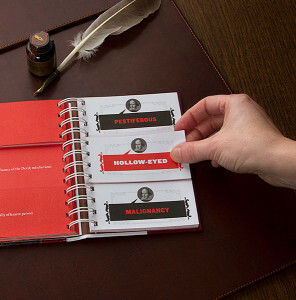 Aqua Notes notepads contain waterproof sheets of paper– now you can scribble down those great ideas before they go down the drain. 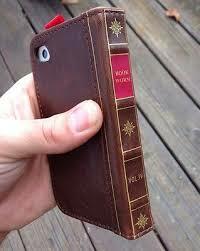 These distressed leather cases for smart phones make it look like you’re toting around a vintage book. You can even customize some of these cases with your own text. 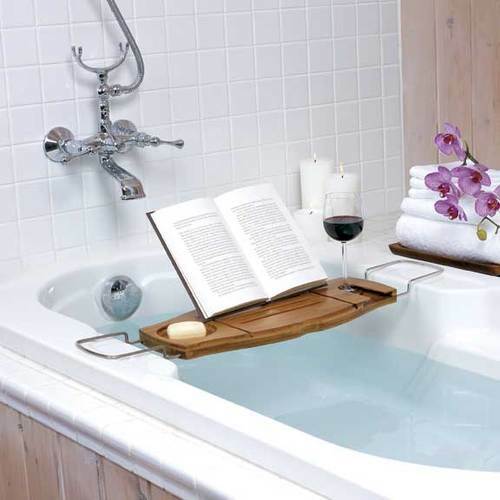 A spa caddy lets you read in the tub while you’re drinking a glass of wine. What could be better? My favorite. The Shakespeare Insult Generator suggests creative ways for telling off any “obscene rump-fed horn beast” who cuts you off in traffic. I had to buy one for myself. How many times have you wished you had one of these? These LED pens let you write in the dark without disturbing others. Let us know if you have any more gift ideas to add to our list! This entry was posted in Writing and tagged #amwriting, #writetip, writing tips by Kathryn Lilley. Bookmark the permalink. I love the vintage book for a smartphone! The bamboo bath caddy is pretty cool…our local wine store has a number of wines with writing related titles that would fit well with that bath. I made this list as “gifts,” but really this is stuff I want, Jee Ann, lol. I’m ordering the pen and one of those covers for my new iPhone 6+ today! Whoops, My reply to Jee Ann went under yours, Julie! I should have added a spa pillow to the caddy–that would be the perfect touch. I love these lists and what a perfect idea for a blog! I’ll have to check with our tech guru about the authentication, Patricia–thanks for letting us know! I rely heavily on my online calculator, that’s a good suggestion. Must. Have. That. Phone. Book. Thing. Cool beans…am going to order one. I hate the way my iphone looks. This is a great solution. That book case really looks awesome, PJ! I think I’ll enjoy just having it around as a conversation piece.